It was so much fun doing this Giveaway for my sister Sherilyn! I loved reading every one's comments and loved sending some traffic over to Rag it up Quilts! I think it really motivated my sister, thanks again!! 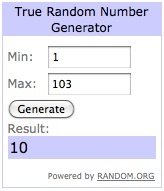 The trusty Random Number Generator chose #10! I'm a new follower of her blog! Perfect timing I was wanting make a rag quilt for a co-worker's new baby, your sister's site inspired me! What talent she has..runs in the family. I would love to win your ruler...I'm in love with Metro Waves. Will you have that pattern to purchase on your site, or just through the Aussie Magazine? Thanks for 2 great blogs! Congratulations Debbie! I hope you enjoy Sherilyn's new blog and your new Ruler and yes, the Metro Waves pattern will be available in April on my Website. I finally had some time to finish up my Urban Winter pattern! I love the dramatic look of this design. I've always been a little disappointed with my choice of fabrics for the Urban Winter quilt because it doesn't show off the design but this graphic gives you a better idea of what it looks like. Thanks so much for all of you who volunteered to test Urban Winter and Urban Tiles! I've sent out a couple of e-mails to test those and would love to use some more testers for some future Metro Patterns coming soon! ....so I'm hanging on to those "tester" e-mails...hope that's okay! I can't believe it's been just over a year since launching the QCR. I'm excited to move forward this year. Urban Winter and Urban Tiles are the last patterns for my Urban Series, sad but happy. My sister Helen and I are really anxious to release some new patterns this year and have a great idea for an upcoming book too! I am new to knitting but have beomce quickly obsessed! 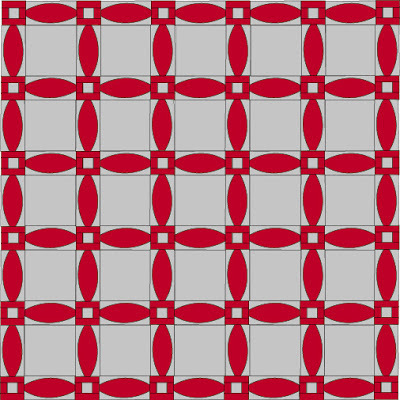 I have just discovered your blog and beautiful patterns and would love to try a couple. I will be knitting for my daughter but she is 8 and most of your patterns only go to 6. Any chance you will offer them in a larger size? I love the Spring Tee and Very Cherry and so many others!